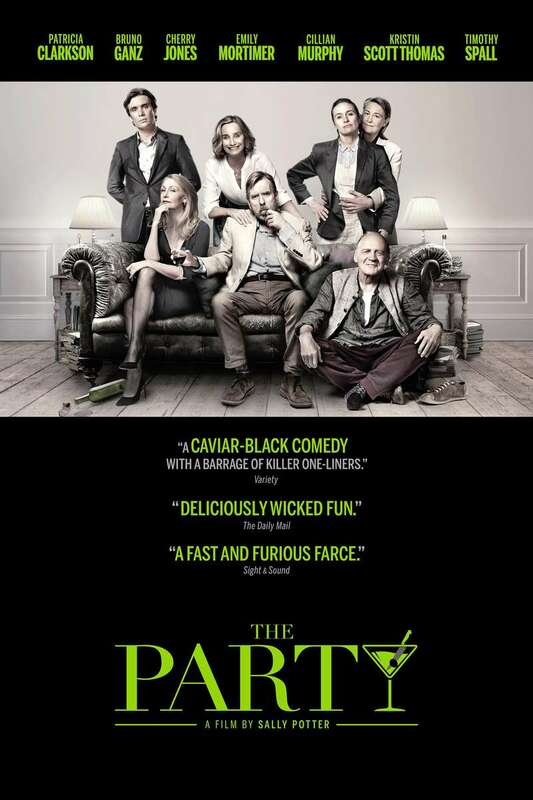 The Party DVD release date was set for May 22, 2018 and available on Digital HD from Amazon Video and iTunes on May 8, 2018. An opposition party politician, Janet, has decided to have a group of friends over to the flat where she and her husband, Bill, reside in London after receiving fantastic news: She has been chosen to serve as a Health Shadow Minister. Her guests includes her best friend April who is a dour American married to a friendly German-born spiritual life coach and healer named Gottfried. Another friend, Martha, is a university professor partnered with a chef named Jinny. Lastly, she invites a colleague, Marianne, who's married to a handsome banker named Tom. When Marianne doesn't arrive with Tom, the event seems to create an unsettled atmosphere. An uneasiness sets in and each party-goer, including Janet and Bill, find themselves forced to face a plethora of secrets and lies.